Our apartment is set in an amazing historic 1890's villa built by the early whaling family LeCren. It is located in a lovely private garden setting. Our accommodation is fully self contained, with parking at your door. You can explore the amazing history, architecture and tourist attractions Dunedin has to offer. Explore the famous (Toroa) albatross, seals and penguins around the Otago Peninsula, as well as the amazing Larnach Castle. The Dunedin Railway Station, both Otago and Toitu Museums are 5 min's away in town as is The Speights Brewery. Check out the wonderful street art and the many cafes/dining in town. You can try the Rail Trail Experience by bike or ride the Taieri Gorge Train. Special conditions: There is a small steepish path up to the right or you can enter from the other side which is flat. We do have a fold out bed for a third guest - upon request $30 additional charge per night. Extras: Linen (included). Under Kiwi bach tradition you are expected to clean the house and leave as found before you leave. We are a couple who have purchased this amazing home and we pride ourselves in taking care of it and the gardens. We both work and look after the accommodation and enjoy meeting the many travellers that pass through. 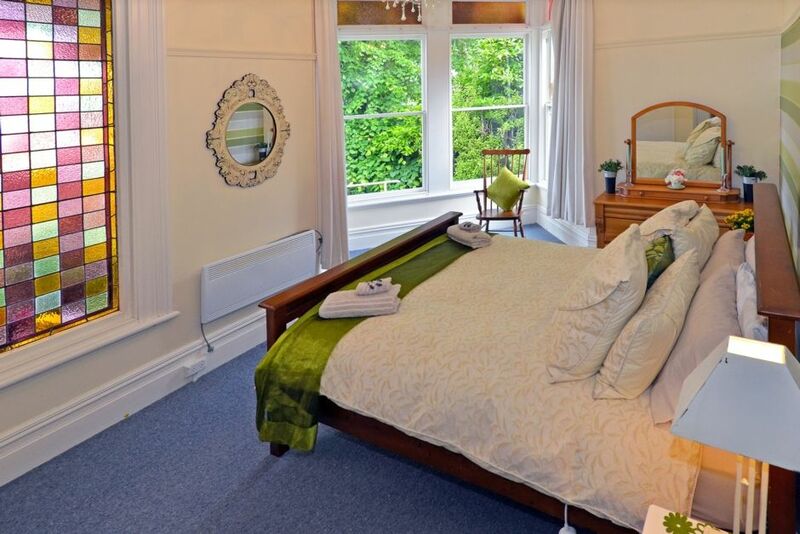 If your looking for a quiet retreat while exploring Dunedin and surrounds LeCren is for you. Clean, tidy with all amenities. Close to town, 5 minutes by bus or car. Local supermarket, parks, cafes, restaurant and tavern all within walking distance. Quiet peaceful retreat in a lovely garden setting specialising for two. Surfing at Saint Clair Beach, exploring wildlife and nature on the Otago Peninsula, touring and dining at the famous Speights Brewery. Spacious light & bright & well appointed. Very comfortable bed, complete with electric blankets in case the nights turned cold. Lovely old house with old world charm located in a beautiful garden back from the road so that it was quiet and peaceful. Our hosts were also charming and most helpful. Dunedin is great and you must visit the Settlers Museum, and Zucchini’s on Princes Street for a great meal. Das Appartement ist Teil eines historischen Gebäudes - wunderschön, aber eben mit ein paar kleinen "Alterserscheinungen", die aber auch irgendwie dazu gehören. Davon abgesehen hat es alles, was man für ein paar schöne Urlaubstage braucht. Außerdem sind die Gastgeber unheimlich freundlich, sympathisch und hilfsbereit. Wir fühlten uns zu jeder Zeit absolut willkommen! Thank you for staying with us and leaving the unit clean and tidy. It was a pleasure to meet you both. Beautiful character house, hidden away a short distance from the centre of Dunedin. The Le Cren Cottage was very comfortable with a great outlook to the gardens while enjoying breakfast. Close to town and giving great views while driving through the elevated area. Great Host meeting upon arrival and ensuring all was good when we left. Fully Recommend.